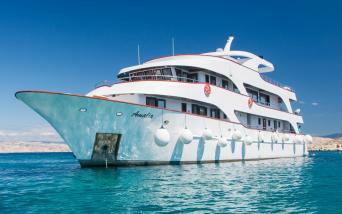 The MV Seagull was repurposed from a navy ship to a comfortable cruise ship in 2014. 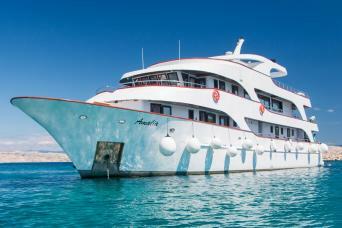 She carries up to 36 passengers comfortably in her 16 passenger cabins with 12 double/twin cabins and 4 triple cabins. 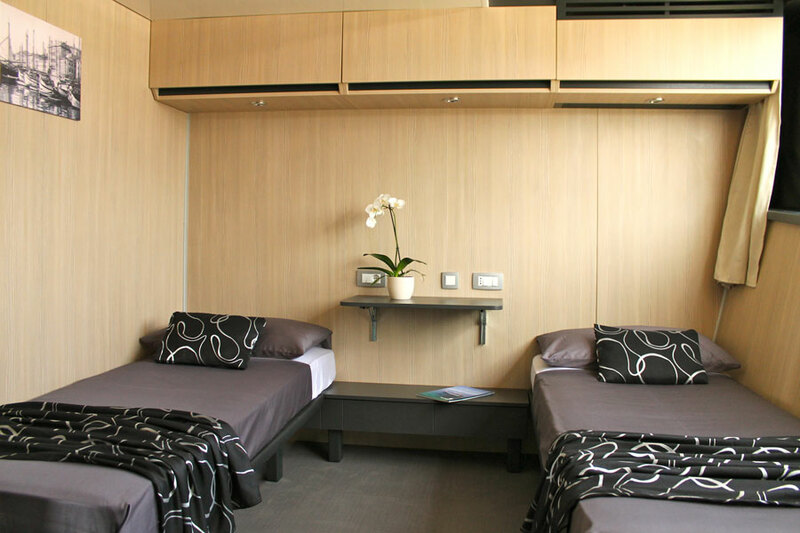 The guests are accommodated in the 16 cabins of 9-11sqm. Each cabin is equipped with a double bed, which has the option of being separated into two single beds, a space for your luggage, clothes wardrobe, nightstand, shelves and drawers, a large mirror, air conditioning for cooling or heating of cabins, and each cabin has its own ensuite bathroom with a shower, sink and toilet. 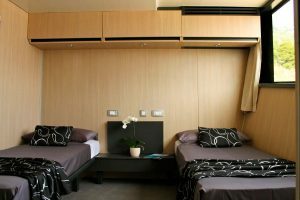 Alarm devices, fire detectors, lifejackets, a sound system for notification of guests or listening to music are also featured. 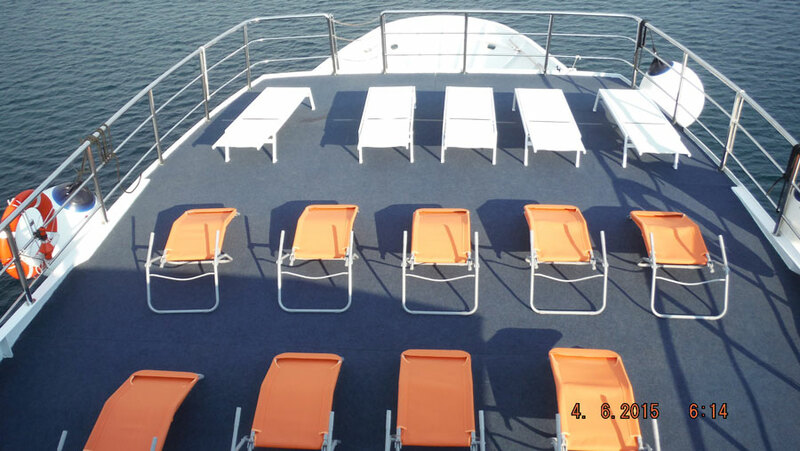 The 12 Main Deck cabins have openable windows. 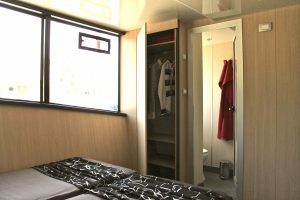 The 4 cabins on the Lower Deck (portholes) all have an extra bed so they can accommodate 3 people per cabin. 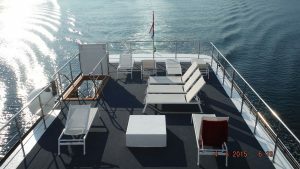 The boat has two sun decks, a covered deck at the back of the restaurant protecting from the sun and wind, a salon and a dining area, as well as a bar with a large selection of drinks. The ship has a boat that serves to watch the guests while swimming from the boat platform and to bring the guests to the coast if they want to visit the beach. 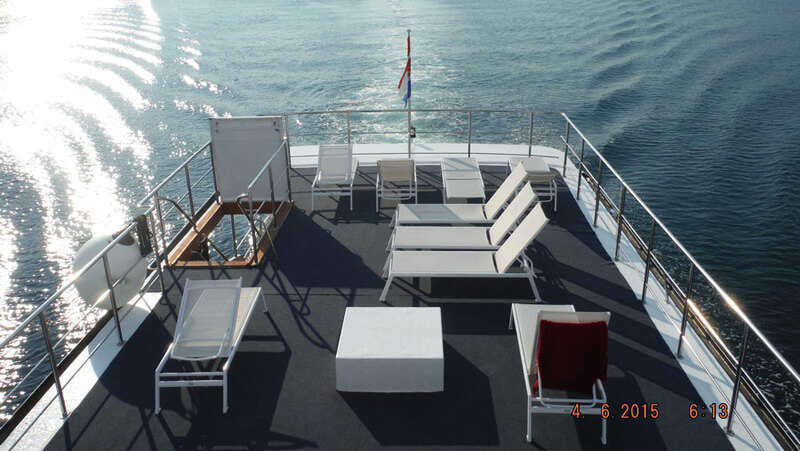 The ship is constructed and equipped according to the provisions of the conventions on the safety of passenger ships and includes fire and sound insulation panels, fire protection devices, life-saving appliances such as pneumatic rafters and lifejackets for each passenger, equipment for sailing under difficult conditions and at night.